Apple isn't just modifying the look and feel of its mobile and desktop operating systems this autumn; the Apple TV software is getting a face lift too. 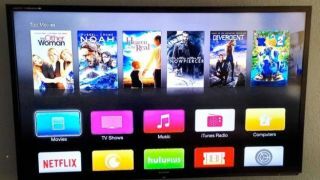 Alongside the launch of the new beta versions for iOS 8 and Mac OS X Yosemite today comes a new version of the Apple TV software, available to developers and members of Apple's beta program. This version (picture taken by Twitter user Danny Perez) brings a more refined homescreen design with flatter application icons, akin to the ones launched in iOS 7 last year and coming to OS X later this year. There's also thinner text with the Helvetica Neue font, akin to the streamlined design approach deployed by Apple in the last 12 months. There seems to be little else on show within this latest Apple TV beta, which is the fourth in the current cycle, while previous releases saw the arrival of Family Sharing and iCloud Photo support. The new version of the software should go public this autumn alongside iOS 8 and Mac OS X Yosemite. The fifth betas for Yosemite and iOS 8 also landed today, bringing bug fixes for a multitude of issues.